Suddenly, Kara’s clear-cut world shifts out of focus, and she’s torn between what her head tells her is right and what her heart is desperately pushing her to do—even if it means committing another undeniable sin..."
I simply adored Pieces of Olivia and I am so so so so so so ready for more from this series! Kara definitely has a story to tell! 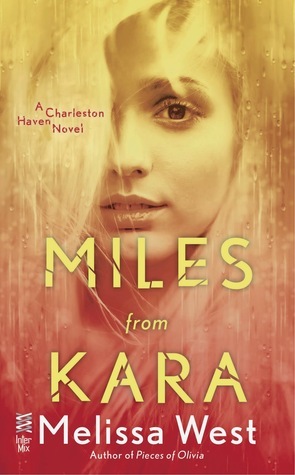 Miles From Kara will be released on December 2, 2014. I'm intrigued. This book sounds like my kind of read. Nice pick! Totally new to me! Hope you enjoy it once you read it! Love this cover and sounds good; hope you get a chance to read it soon. I've never heard of this one before. I hope you enjoy reading it! I haven't read a single West book yet, but have heard good things. Thanks for sharing! yes yes... Preston is a MUST! YES! I definitely loved the first book, so I will have to read this one as well! Oh yes! So loved the first one.